you may have never used! (that you should be using). I admit it. I’m a bit fanatical about using clean optics and filters. After all, I’ve seen the effect that a dirty filter or lens can have on my images. A Leap Forward in Lens Cleaning! ROR is the most amazing lens cleaner there is. I've been using this product for almost 20 years, and nothing comes close to its ability to clean optics. Keep reading to learn the fascinating story of how ROR came to be. Cleaning your lens or filter can have a dramatic impact on the sharpness of your images! slightly dirty 1A (skylight) filter. The effects of clean optics can be "revealing"! For many years (prior to the 1990’s), I used the "conventional" cleaning solutions and Kodak lens tissue. These lens fluids weren’t much better than plain water, in most cases. And the Kodak Lens tissue had no absorbent capacity, and it was rather "rough" to the touch – I never was comfortable using it on lenses, but it seemed to be the de-facto standard at the time. Sometime around 1990, I discovered a lens cleaning fluid. I found it through a small advertisement in a photography magazine. I called the phone number and a man answered. His name was John Woltjen. I asked him how I could order this new lens cleaning fluid, and he instructed me to send him a check to his home in Chicago. I followed his instructions, and shortly thereafter, I received my first bottle of ROR Lens Cleaning Fluid, which I still have and use today. I found this product to be revolutionary in cleaning optics. This is a 20+ year old bottle of ROR that I bought directly from John Woltjen. There isn’t much left in the bottle, but I have it next to my computer and use this bottle now for cleaning my reading glasses and computer monitor. After all of these years, it still excels in cleaning just about anything that light passes through. On a subsequent phone order, I asked John about the origins of this product, and have gathered the following information from several sources – it makes interesting reading. John was born on Nov 27, 1924. At the age of 19, he was a radio-man in the submarine service in the US Navy. After returning to civilian life, he applied, and was granted, a patent for an "Apparatus and method for removing residual oil from automobile engines" on November 14, 1977 (patent number 4172738). It seems that John had a passion for removing "residual oil" from things. 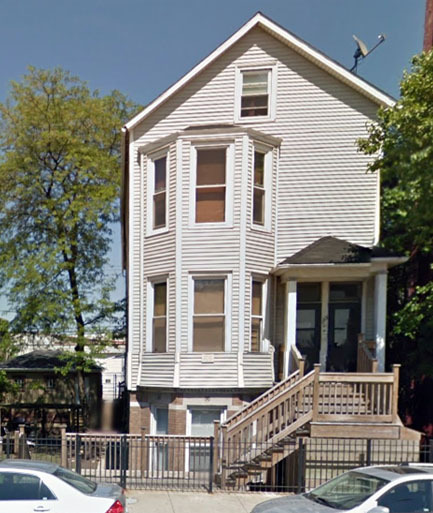 After moving into a house in Chicago, John met a neighbor - a 90-year old man named James Dart, who had been selling a medical remedy they called " V-Vax " as well as a product called "Clersite " - a lens cleaner. But, in 1929, when the stock market crashed, he lost everything – but he still had the "recipe" for ClerSite. John and James decided to work together to sell both V-Vax and Clersite. But, James kept the formula secret from John, and would only mix the cleaner in private. They first started selling Clersite in 1981. John was worried that the secret of Clersite would die with Dart, but he accumulated clues over time. Dart died at the age of 99 in 1988 , but by then John had figured out the formula and renamed it to "ROR" (Residual Oil Remover). 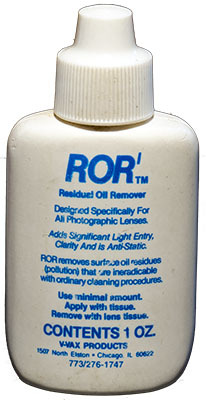 On March 27, 1998, John applied for a trademark for a new "residual oil remover" product named ROR. The trademark was granted on April 13, 1999, and thus was born ROR (Residual Oil Remover). According to John, "There are four solvents in ROR. Each dissolves everyday grease on their own, but together they do something they can't do individually. When they're combined under heat, they bond like hydrogen and oxygen. It's that synergism that gives ROR its power." He told me that it was used by NASA and in the labs of camera companies such as Hasselblad, Zeiss, and Leica. He would create 50-gallon batches of ROR in his garage and hand-fill the bottles. I’ve been a devoted user of ROR since that time. Unfortunately, John died at the age of 74 on Oct 25, 1999, but his legacy lives on. If you haven’t tried ROR, you’re in for a treat. ROR is like no other lens cleaning product. Unlike other lens cleaners, ROR is designed to emulsify and remove the microscopic film of oil residing on the surface that is caused by environmental pollution. The first time you use it on a lens or filter, you’ll need to clean it 2 or 3 times to get all the built-up residue (you wouldn't have believed that your optics had that much gunk on them!). After that, you’ll only need to clean one time to keep your optics crystal clear. 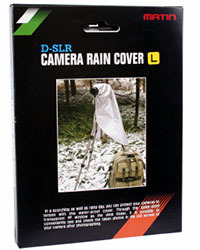 We HIGHLY recommend you use ROR with a clean microfiber cloth. We use it on a lot of different products including flat-screen TVs, binoculars, eye-glasses, sun-glasses, lenses, filters, computer monitors, etc., etc. ROR comes in a screw-cap 1-ounce bottle or a spray 2-ounce bottle. We recommend the 1-oz screw-cap bottle for use in your camera bag - it's smaller and the screw-cap is more secure than the pump-spray cap. I keep the 2-oz pump-spray bottle on my desk, and use it for eyeglasses, lens and filter cleaning.